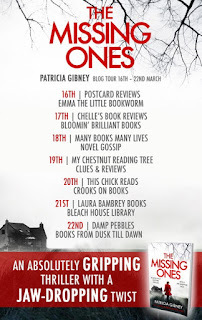 BleachHouseLibrary.ie: Blog Tour: 'The Missing Ones' by Patricia Gibney. Book Review. 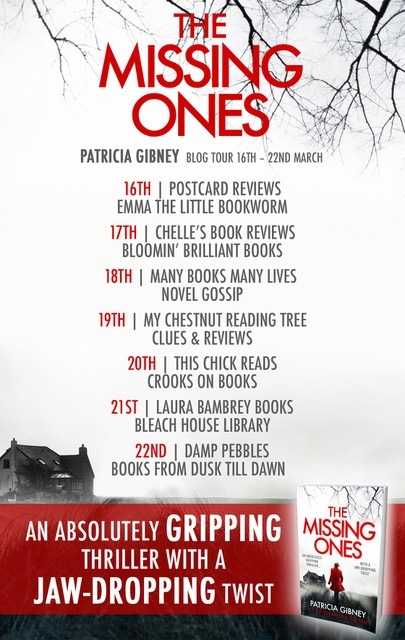 Blog Tour: 'The Missing Ones' by Patricia Gibney. Book Review. January 1976, and three children watch with horror as a small body is buried, without ceremony, under an fruit tree. December 2014, and a woman is discovered, strangled, in a rural cathedral. DI Lottie Parker and DS Mark Boyd are called to the scene and can see no reason why anyone would want to harm a fifty-one year old county council worker. She has no family, few friends and apparently no enemies. A distinctive tattoo is found on the corpse and a similar one is located on the body of a suicide victim, just days later. For DI Parker, the coincidence is just too much, and she digs deeper to find a connection. 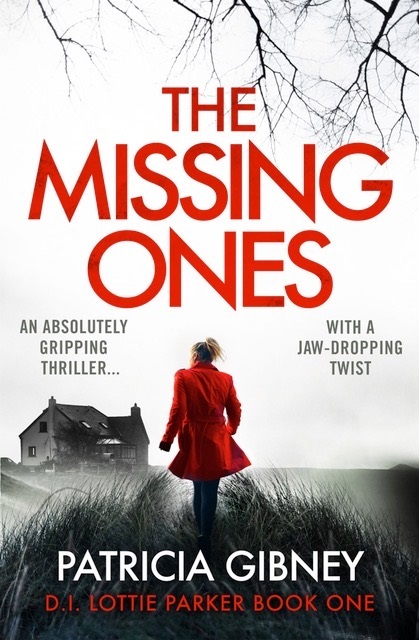 The Prologue of The Missing Ones is about as strong as you can get. Disturbing, yet brief, it is enough to draw the reader into the mystery surrounding a child's death. Fast forward almost forty years and we are introduced to DI Lottie Parker, a forty-something mother of three. Widowed over three years, she is still grieving for her husband and coming to terms with raising her kids alone. She tries to balance her work/home life yet there are rarely family mealtimes and she feels responsible. Her vulnerability gives her character more depth and adds some warmth to the story. There is some great chemistry with Lottie and her partner, DS Boyd, bringing a real human element into the mix. As the case gains traction, there are flashbacks to 1970s Ireland and the darkness of the State/Church run children's homes of which we are all too aware of. Decades of secrets and lies are discovered as Lottie searches for links to her investigation. Meanwhile, a homeless man rambles about the past, the shady dealings of planning permission for the renovation of a former children's home come to light and a teenage boy goes missing. The spider web of cover-ups is expanding and the tension builds rapidly. Considering the recent events surrounding the discovery of hundreds of bodies in a former mother and baby home in Ireland, this book is eerily relevant. Our small island has buried the truth for far too long and society will no longer stand for it. Patricia Gibney has written a fictional account of how a handful of bad apples can destroy the whole cart. There are twists galore and the story gathers pace at a gentle pace, reaching a frantic climax. The horrors of the past seep into the present and the characters are introduced with meticulous detail. This is a thrilling debut, with a fantastic protagonist. DI Lottie Parker has her flaws; she has OCD tendencies, a disastrous relationship with her mother and a terrible concept of what is a reasonable diet for herself and her family. Basically, she is human. 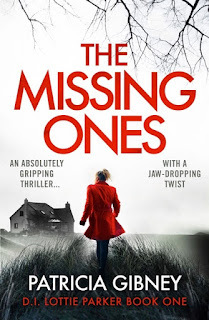 I'm a big fan of crime thriller series and look forward to the next installment from this Irish DI and her sidekick, DS Boyd (of whom I may be developing a crush on). 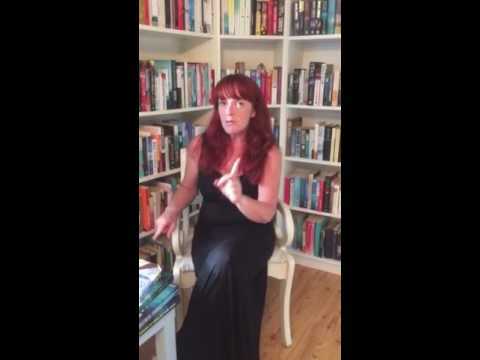 Excellent review, Margaret, making me itch to have the book in my hands. Congratulations, Patricia on all the fantastic reviews on your debut novel. Can't wait to read this.